February is the month of love, centered around Valentine’s Day and loved ones. This year, however, we want to focus on loving yourself – and your smile! Smiles are important for first impressions, making someone happy, and even for your job, but they are also known for their affect on self-confidence! Those who aren’t happy with the way their smile looks are less likely to show it off and more likely to stay quiet in conversations in order to hide their teeth. This may not seem like that big of a deal, but being happy with the way you look one of the biggest factors for self-confidence and can ultimately affect your ability to feel comfortable in social situations, photos, job interviews and meetings (and of course your health). After all, smiles ARE contagious, and smiling in a social situation can life your mood and the mood of everyone around you, creating a lasting impression and a fond memory. Why spend time worrying about how your smile looks when you can focus on what is in front of you and live in the moment? 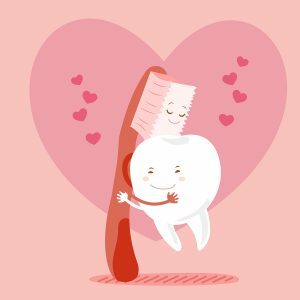 Whether you are concerned about stained, chipped or crooked teeth, the doctors at Vacendak Dentistry can help you have healthier teeth so you can fall in love with your smile. We offer services for both general and cosmetic dentistry, including teeth whitening, veneers, Invisalign, cosmetic fillings, bonding and contouring, all done safely and effectively to restore the natural beauty of teeth and help you reach your smile goals. Doctors Sheila and Daniel Vacendak and the team at Vacendak Dentistry are here to make your dental health care a positive experience! We are conveniently located in the Greenbrier area of Chesapeake and serve patients all across Hampton Roads. Call us today at (757) 609-3510 to schedule an appointment. This entry was posted in Uncategorized on February 7, 2018 by Vacendak Dentistry. The holiday season can be the most stressful time of the year for many people, particularly those busy wrapping up projects before the new year at work and organizing family travel and gatherings. We all know that stress can have certain effects on our health, and take measures to relax, but did you know that stress can also be harmful for your teeth? If you wake up and find that you have pain in your face or jaw, frequent headaches and earaches, you may be seeing the results of stress! Stress is suspected to contribute to bruxism, which is the clenching or grinding of teeth. 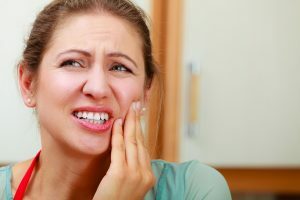 This may not seem like a big deal, but over time it can lead to a number of other issues including Temporomandibular (TMD) disorders, increased tooth sensitivity and broken teeth. Taking care of the problem early will save you time and money at the dentist! So, what should you do if you suspect that you are clenching or grinding your teeth? Scheduling an appointment your dentist is the first step. Our doctors can examine your teeth and determine if you have been clenching or grinding your teeth, and help you find the best solution! We can even fit you with a custom-made mouth guard to wear at night to prevent future teeth-grinding. If you have already experienced the effects of bruxism, we can help you correct the damage. Other ways you can combat oral health problems occurring from stress are by looking for the sources. Reduce caffeine consumption, be sure you are getting adequate hours of sleep per night and remember to take time for yourself to relax this holiday season! Drs. Sheila and Daniel Vacendak and the team at Vacendak Dentistry are here to make your dental health care a positive experience! We are conveniently located in the Greenbrier area of Chesapeake and serve patients all across Hampton Roads. Call us today at (757) 609-3510 to schedule an appointment. This entry was posted in Uncategorized on December 12, 2017 by Vacendak Dentistry. October is here and though we have the spookiest holiday of the year coming up, nothing is scarier than a dental routine that isn’t helping your teeth. 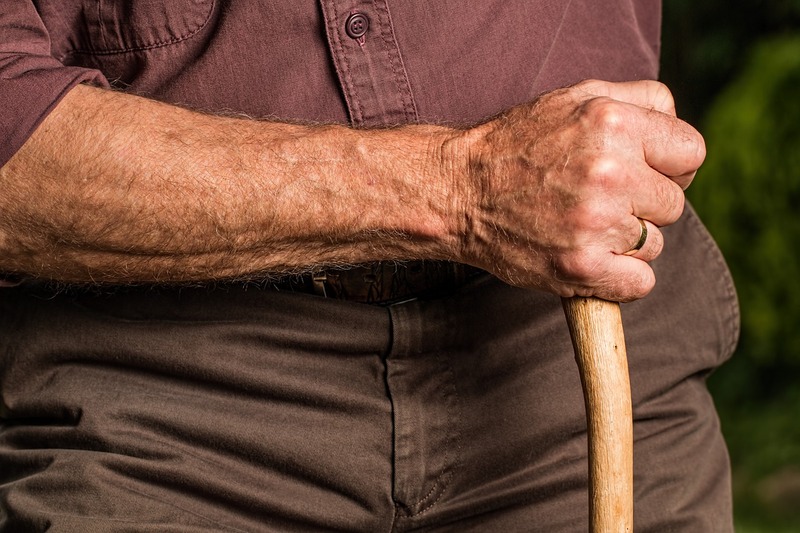 A routine that misses steps or isn’t getting the reach you need can create a nightmare check-up and frightening long-term problems. Check out these tips to be sure your teeth don’t end up like Frankenstein’s! Make sure you have the right toothbrush for you, and good brushing technique. If you are a hard brusher, a toothbrush with tough bristles can be damaging to your gums. If you have gingivitis or plague build-up, opt for an electric brush for a detailed cleaning. Brush your teeth for two minutes. Did you know that most people brush their teeth for only around 40 seconds? Getting to the full two minutes will ensure you’ve reached every spot! Brush three times a day. We know this can be difficult to remember with a busy schedule, but brushing after each meal helps to rid of food debris and prevent plague build-up. It also helps freshen breath after eating! Keep an extra toothbrush at work for an after-lunch cleaning. Don’t skip the floss – flossing is one of the best allies against gum disease and tooth decay, and should be done at least once a day. For best results, use 18-24 inches of floss and slide the floss between teeth in a “C” shape and move it up and down gently, repeating for each tooth. See your dentist every six months for a checkup. Don’t wait until you’re having issues with your teeth to see the dentist. Your dentist will likely catch any problems early on, helping you prevent further damage and save money! Get excited about your oral health! Maintaining it doesn’t have to be a chore. The doctors at Vacendak Dentistry can help. We are conveniently located near the Kempsville area of Chesapeake and are accepting new patients. Call us now at (757) 609-3510 or contact the office online. We accept most dental insurance plans. This entry was posted in Uncategorized on October 1, 2017 by Vacendak Dentistry. Going back to school means many different things for kids, parents, and teachers. Now that it is August, it’s time to think about any dental visits you might need before the busy school season starts! Parents: We know you want your kids to have a great smile for their annual school pictures. These are the images that relatives will receive and that you and your children will look back on when they grow up, and showing off those teeth in a genuine smile will create fond memories. We also know that your schedule is about to be packed with work, homework help and after-school extracurricular activities. Taking your child or yourself to the dentist is probably the last thing on your mind during school season, so this month is the best time to go! Teachers: Though it seems easy enough to take a few hours or the day off to go to the dentist, we know it isn’t that simple. If something unexpected comes up that requires a more thorough procedure, you might end up needing more time off than you had planned for. Getting to know your students at the beginning of the school year is important, and every missed day counts. If you haven’t had your routine checkup in a while, August is the perfect time! Back to school season is also a great time to get back into daily dental routines! Later summer nights and vacation time can often distract us from our usual brushing and flossing practices, and starting early in the school season can get us back into healthy cleaning habits. Check out some of our other blog posts for tips and tricks about getting your kids into good dental habits and routines. Start the school year off strong with a clean and healthy smile! Call Vacendak Dentistry today to schedule an appointment or fill out the form. This entry was posted in Uncategorized on August 2, 2017 by Vacendak Dentistry. Can you believe 2016 is almost over? This year has flown by, and if you’re like many people, remaining dental insurance benefits are the last things on your mind. If your dental insurance “resets” on January 1, 2017, you may lose the benefits you earned this year by faithfully paying your monthly premiums. The good news is that you still have time to schedule a dental appointment and take advantage of the care to which you are entitled. Whether you have a flexible spending account (FSA), Health Savings Account (HSA), or have a plan with a deductible, it’s important for you to know whether the money/benefits roll over into the new year. If you’re not sure, we recommend you go ahead and use the funds for dental work or routine care that you may have put off in 2016. Vacendak Dentistry works with a number of dental insurance companies and our office works to make sure patients receive care that is as affordable as possible. Call us today at 757-609-3510 to schedule an appointment or talk to someone about your dental insurance. You still have time before December 31. Happy Holidays! This entry was posted in Uncategorized on November 30, 2016 by Vacendak Dentistry. Have you ever heard the expression, “I’d rather have a root canal than…(insert undesirable thing here)?” Because of the commonly accepted idea that root canal treatment is one of the most painful dental procedures, many people are apprehensive when their dentist or endodontist recommends one. Know that the purpose of a root canal treatment is to save a tooth and relieve pain, not cause it! Though the procedure is commonly called “a root canal,” you may be surprised to learn that this name actually refers to the part of the tooth the procedure focuses on, rather than the procedure itself. 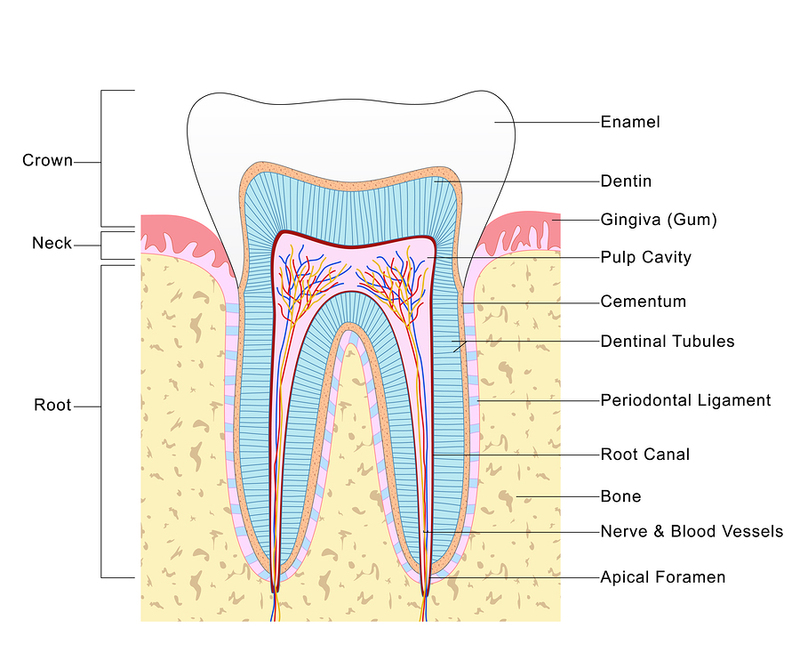 As you can see in the diagram below, the root refers to the area within the dental cavity that surrounds the nerves and blood vessels and holds the tooth’s pulp. Labelled diagram of the structure of tooth. Modern dental technology has made the actual root canal procedure fairly painless. So if your dentist recommends a root canal to relieve an infection or abscess, don’t worry. Read on for a better understanding of what you need to expect. 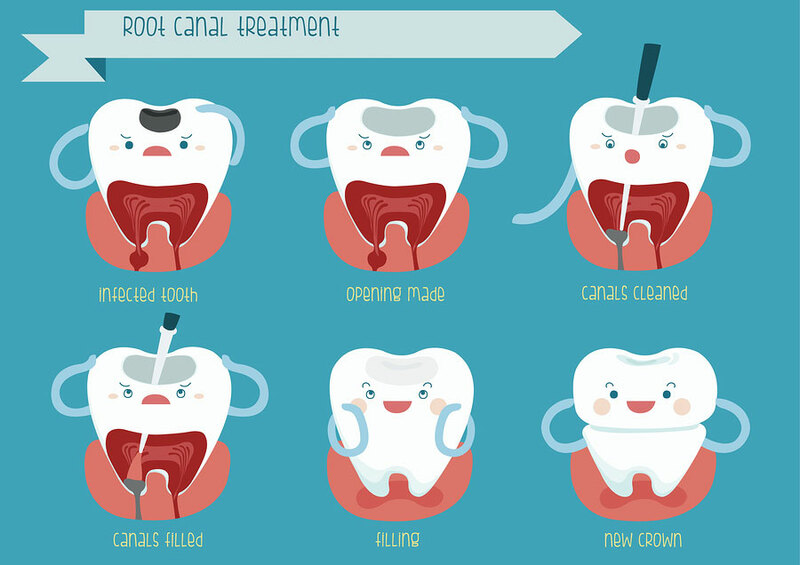 Since root canal treatment clears out infected or inflamed pulp in the tooth, the reason for needing the procedure comes down to the reason for infection or root damage. Gum disease, a chipped or cracked tooth, repeated dental procedures and advanced tooth decay can all contribute to the need for root canal treatment. If the root of the tooth is infected, the entire tooth is at risk. In order to save an infected tooth, the dentist numbs the gums and mouth with a local anesthetic. If the patient is particularly anxious or sensitive to pain, the doctor may also use nitrous oxide. Once the mouth is numb, the dentist will begin the procedure. The dentist enters the tooth through the crown with the dental handpiece. Once access to the root canal space is established, the doctor cleans the infection out of the tooth, irrigates the canal, and reshapes the space to prepare for the permanent filling. Using a rubber-like material called gutta-percha, the dentist fills the root canal in order to replace the diseased pulp. A temporary filling is placed in the access space. In most cases, the crown (or cap) is placed at a separate visit so that the tooth has time to heal. The crown looks much like a natural tooth and protects the newly restored tooth. Take a look at this illustration to get a better idea of the process. Since most teeth that require a root canal were already causing pain, many people find that temporary discomfort during root canal recovery is very manageable. Basic over-the-counter anti-inflammatory medications are usually sufficient for easing pain. Some people also experience “ghost pain” after a root canal, despite the nerves being removed during the treatment, but this typically goes away within a week or two. Important: Avoid hard, sticky or crunchy foods until the final crown is placed. This will help you avoid feeling excess discomfort and damaging the temporary filling. If you are experiencing tooth pain or have recently experienced some kind of tooth trauma, schedule an appointment with a dentist. It’s possible that root canal treatment may be the answer to heal your pain. If you are in the Hampton Roads area, call Vacendak Dentistry at 757-609-3510. We are conveniently located near both Chesapeake and Virginia Beach in the Greenbrier/Kempsville corridor. You can also request an appointment online. This entry was posted in Uncategorized on August 28, 2015 by Vacendak Dentistry. This entry was posted in Uncategorized on May 1, 2015 by vacendak. Next Friday, January 17, 2014, Dr. Sheila Vacendak is attending the Staffileno Head and Neck Cancer Symposium: The Essential Role of the Dental Professional in Chicago, IL. This symposium will feature educational sessions on all aspects of head and neck cancer relevant to dental specialists and the general dental community. • Prosthesis fabrication and subsequent oral health maintenance. Dental health is a key to whole-body health, and the dentist is an integral member of the head and neck cancer team, participating in diagnosis, treatment and rehabilitation. At Vacendak Dentistry, we look at more than just your teeth and gums; we look at your overall health. Vacendak Dentistry offers cutting edge dental technology like the Panorex digital X-Ray machine that provides X-rays with five times less radiation and comprehensive oral cancer screenings with the revolutionary VELscope. We specialize in preventative dentistry and believe bi-annual examinations are the best defense against periodontal disease and other oral health problems. Experience the Vacendak Difference today. Contact us online or call the office at 757-609-3510 to set up an initial dental consultation. This entry was posted in Office News, Preventive Care, Uncategorized and tagged Cancer Symposium, oral cancer screenings, Panorex, Sheila Vacendak, VELscope on January 9, 2014 by vacendak.